"Catholicism & Citizenship, does not offer just another book about the church and the temporal world. Rather, it promises a challenging exploration of the saeculum's bewildering contradictions, and it graduates a half-century-old theological reflection into an urgently present injunction to respond to the world as it is." 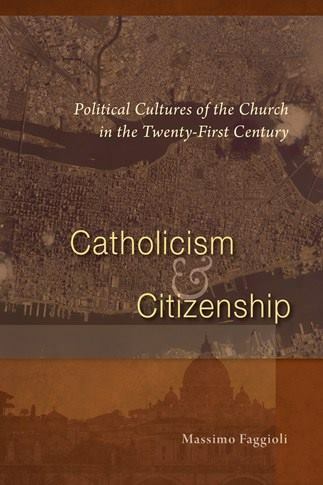 "Catholicism and Citizenship is a concise book that represents the fruit of lectures presented by the author. Hope and insight never fail to radiate from each page." "The book is very well-written and deals with Pope Francis' papacy in light of his view of Guadium et spes. The purpose of the book, Faggioli states, is to look at Catholicism in the modern world, as it has changed so much since Vatican II." "The prolific and polyglot historian Massimo Faggioli argues in this book that Francis is `the first post-conciliar pope.' Faggioli claims that the church, no longer seeking political or cultural hegemony, must go out to the world to show mercy in diverse forms of dialogue and service."